In case you missed my previous post and the NYTimes, "As Bullies Go Digital, Parents Play Catch-Up" article, here are two quotes from the article that say quite a bit about what's going on in our students' (and parents') cyber world. 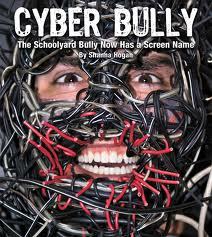 1) After Marie learned the identities of her son’s cyberbullies, she did not call their parents. She was so incensed that she communicated only through official go-betweens, like the police and prosecutors. But some parents prefer to resolve the issue privately, by contacting the bully’s family. Psychologists do not recommend that approach with schoolyard bullying, because it can devolve into conflicting narratives. With cyberbullying, a parent’s proof of baldly searing digital exchanges can reframe that difficult conversation. Parents who present the other parents with a printout of their child’s most repugnant moments should be prepared for minimization, even denial.